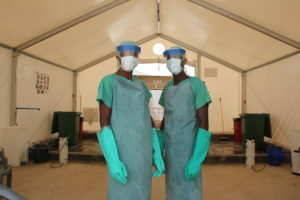 Two Ebola survivors in Sierra Leone have filed a law suit at the Economic Community of West African States (ECOWAS), challenging the Sierra Leone government over its handling of the 2014 epidemic. ECOWAS is a regional economic union of fifteen countries located in West Africa. The survivors, who are supported by the Centre for Accountability and Rule of Law (CARL), said in their suit that the government violated its citizens’ right to life by mismanaging the funds meant to fight the Ebola epidemic, thereby leading to the infection and death of many people. The Ebola epidemic, which began in Guinea and spread to Liberia and then Sierra Leone, ended up claiming over 11,000 lives globally. With almost 4,000 Ebola-related deaths, Sierra Leone was considered the most affected among the three countries. Hundreds of millions of US Dollars in aid came from the international community, but much of it was later discovered to have been mismanaged by corrupt officials in charge of battling the epidemic. The plaintiffs claim the government violated its citizens’ right to life by failing to adhere to relevant accounting and procurement controls which led to the loss of one third of the available resources, and therefore was responsible for a greater number of deaths from Ebola than would otherwise have occurred. The suit also alleges that the government violated its citizens’ right to health by failing to dedicate maximum available resources to the Ebola response. It adds that the Government’s poor stewardship of the funds diminished the human and physical resources needed to handle the outbreak.